Why do you think it's great that your swing speed is right around the global average? Well sir, because at around 90 mph, your swing fits most of the drivers you see in golf shops anywhere. And it makes it VERY simple to pick the right shaft which is even more important than the club head. The best manufacturers make drivers extremely easy to hit and each year the options get better and better. We'll look through some well-known and lesser known ones below where you can pick up a bargain to take your game to the next level. With a 90 mph swing speed, you're around the average swing speed of golfers worldwide. That makes life incredibly easy for you! Your swing speed fits a REGULAR driver shaft perfectly and with a regular shaft, your tee shots will fly straighter and longer more often. Stiff shafts will produce low ball flight and a lot of slices. A softer than regular shaft will cause shots to fly left and right at random. I suggest you get a driver with a REGULAR shaft. If however, you have a very quick rhythm to your swing but the speed is still around 90 mph, there is a newer shaft introduced in the golfing world called SR - STIFF REGULAR. This is fantastic if you have a fast, jerky kind of swing to be able to actually give you more rhythm with a bit more stiffness. The best thing you can do for your game is to get fitted for a shaft by a fitting professional if you find nothing seems to work. You can pick your favorite club online and take it to the club fitter and he'll install a shaft more appropriate for your exact swing. It's easily the best investment you can make. Loft is the 2nd most important aspect. While 9° or 10° are good lofts for professionals or 100 mph+ swingers; at 90 mph, I strongly suggest 11° to 13° of loft in a driver. The additional loft makes the club much more forgiving and far more accurate. Increased launch angle also means you'll get more carry on your drives for more distance. Imagine hitting a 3 iron. Ouch! Now imagine hitting the PW. Oh, that feels good right? Increased loft is evidently more forgiving just from our personal experience. The only thing keeping guys hitting low lofted drivers is ego. Lots of guys have shafts that are too stiff, loft that is too low and clubs that are too long. Be honest with yourself and look at your shot-shape. Are you getting a straight ball flight or a little fade or a little draw? Or are you slicing and hooking erratically? Are you using an X-stiff or stiff shaft? Are you still totally full-strength or losing power? 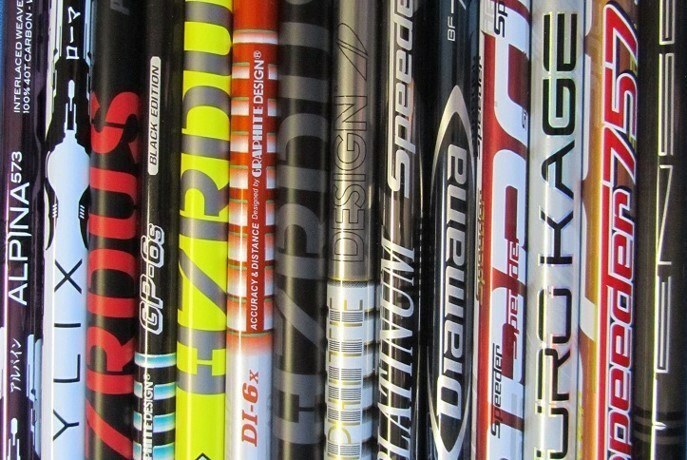 Perhaps a super-lite regular shaft will help you instead of the stiff one you've had for 15 years! Some drivers are also adjustable so you can change the loft of the club yourself and become your own club fitter. It all depends on how much you want to tinker. It's important for me to note: I DO NOT advocate for drivers that adjust to infinite amount of settings. I don't mind perhaps a fixed interchangeable weight plate or the ability to adjust the loft up or down, but sliding weights and infinite settings is a surefire way to doubt yourself all the way round the course when you hit them offline. Let's keep it simple as possible so you never have decision paralysis, and so that you an swing freely off the tee instead of worrying about your settings. While the name Srixon isn't so visible on the PGA Tour, the brand which falls under the Dunlop/Cleveland?Srixon umbrella have released a little masterpiece in this club. If you tend to hit the ball toward the toe or high in the face, this driver turns the directional miss and distance loss minimal. The mid-handicap players I play with who have this driver often tell me they toe'd a drive, we look at the face and yes it's high on the toe, yet the ball has gone the same distance as the middle hits. The very same guys are golfers who couldn't keep a ball on line and a large number of them even converted to Srixon from PING. It's a simple classic looking driver in the mould of the old Cleveland Launcher with the gold shaft with minimal decal on the crown so your eyes are focused on the shot not the alignment aid. The face has very few lines on it and there is no big ugly picture like on an Epic's face. Clean lines with a very high powerful face. As mentioned earlier, less adjustability is better for peace of mind. 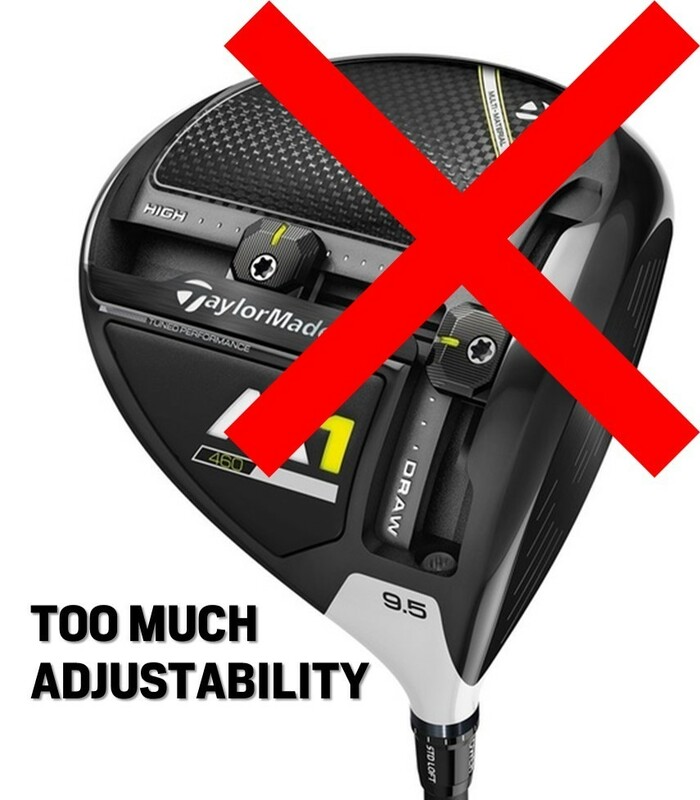 This driver is non-adjustable. You get a simple point-and-shoot driver that leaves you confident over the ball without worrying about weight plates and spin rates. It's a goer. The shaft that normally comes standard is a Project X HZRDS which is top of the range. Fit with a regular (5.0) shaft is a dream. The Launcher HB (Hi Bore) comes standard fit with a 50g shaft that gives you a higher launch with medium amount of spin. A lightweight head coupled with the shaft mean you can generate more club head speed which translates into longer carry. With the lightness and the deeper face of the driver, which is a Cleveland hallmark, most golfers notice a higher ball flight, needing less rollout to actually obtain any distance. After having played with three Cleveland drivers in my life, their offerings are always near the top of my list to check out. Their drivers always look totally clean on the crown and this one is equally beautiful with an improved version of the Taylormade white concept along the top of the face on the crown. Except Cleveland have give you a minute sliver of grey to use for lining your drives up to the fairway - less harsh on the eyes. You won't be able to adjust the loft of the driver nor are there any weights to move around. 9° 10.5° and a 12° option are all available and with a 90 mph swing, the 9° can be excluded from the selection. Like all Cleveland clubs, they won't be as hyped as Taylormade or Callaway but this driver is the business. The Wilson D300 has a very tall dominating face and setting up to the ball, it looks like a Cleveland of old. Classic shape and tall face with a massive sweet spot. 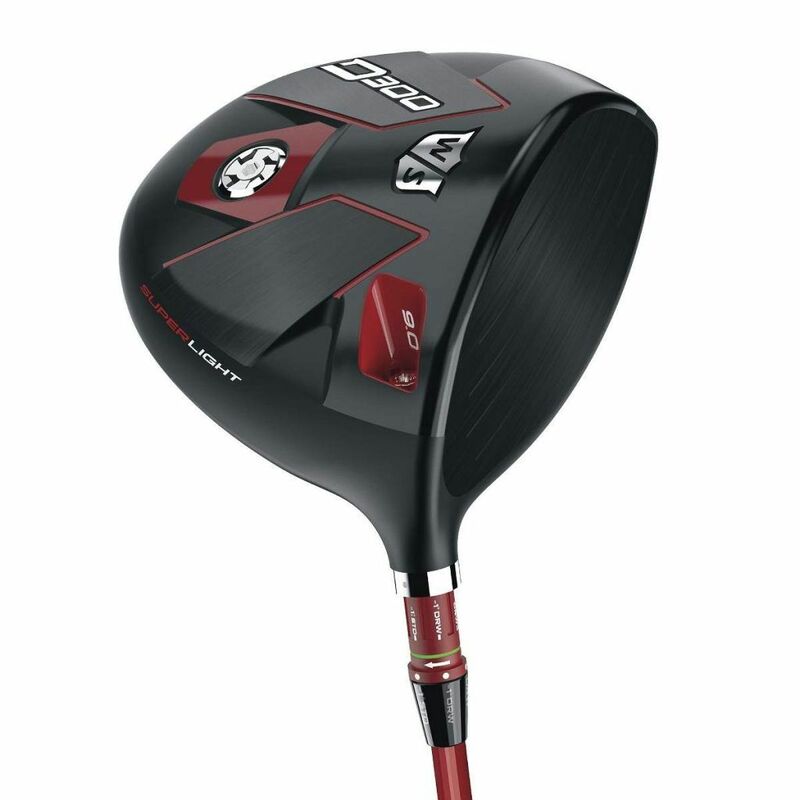 Definitely in the sleeper category, not many guys will know about this driver and at this price, it's a best kept secret. The club is light and by light, I mean REALLY light. That might not appeal to everyone but it can definitely help pick up an extra couple mph in your swing. If you're hovering around 85 mph, this little beauty can bring you up to 90 mph and give you a few yards more off the tee. A 10.5° Wilson D300 means you can adjust the loft to 11.5° while the 13° version means you can adjust from 12° to 14° giving you plenty of opportunity to find the ideal ball flight for you and optimal carry. You can close the face by turning the hosel, encouraging a draw instead of a slice too. A great value driver overall. I really recommend the 13 degree option to give you the upper end of the loft for more carry distance. In every group of golfers there is always a PING man and then there are the guys who haven't tried them. What the PING men will all attest to is just how easy it is to hit a PING. They may not be the most used on Tour but they're certainly a mainstay of amateur golf for decades. Steve who can be seen in the Golf Sidekick videos on Youtube, just purchased himself a G400 and hasn't hit the ball as well in his life. It's a simple looking driver with simple colors and the shape is very classic-looking. A nice long and tall face with a tear drop shaped head. The ball is flying much higher than Steve's old Taylormade driver giving him more carry. PINGs are renowned for the high and penetrating ball flight giving guys a lot more carry to get over more hazards and bunkers more confidently. At address, the crown is a pretty matte finish but there are a few kind of spike looking things on top. They are not entirely distracting and do help with alignment but if you prefer a very clean crown, this one might not be to your liking. A friend of mine, Jorn, plays this club and grinds down his opponents with his long straight drives. It's a real asset to have a dependable driver. It makes you feel good standing on the tee, it makes your betterball partner feel good, it makes your opponents want to kill you. I have in fact bought myself a Ping G driver with 10.5° of loft. It's available in 9 and 10.5 degrees which adjust to 10° and 11.5° respectively. Overall, a game-changer. Simply the best driver out there for 90 mph swingers who hit it too low. Despite the M5 and M6 being out now, there is not much difference between them and this M2 from 2017. Save your dosh and you can be confident this driver will perform no different to the new ones double the prie. The 2017 M2 is the driver for you if you don't like to worry about the myriad of weight placements on the sole of the club to manipulate the shape and height of your shots. I'm a big fan of point-and-shoot clubs to simplify an already complicated game. The M1 provids way too many options that will eventually drive you insane worryng about settings. You can adjust the loft up on this driver but other than that it's ready to go straight out the box. There's no need to fiddle with stuff on the range and manipulate this shape of the shot because this thing is forgiving and straight. It blasts the ball out there and doesn't want to veer off course into the long stuff. The white and black color scheme also makes it super easy to align although the new M3 and M4 have a nicer grey color on top that is less garish than the white. The Taylormade M2 2017 comes in 10.5° and 12° lofts and can add a new dimension to your tee game. Adjust the loft and you have a driver that can be 12.5° and 14° drivers if you please. There are no complicated set ups, just pick it up and smash. Everything about this driver is geared toward maximizing swing speed. The shaft is lite, the head is light and the face is forgiving. Brian, from the Golf Sidekick Youtube channel recently put one of these in his bag and can finally hit a driver. As a stickler for alignment aids not being distracting, this one is a perfect mixture of the two. It's a very feint and subtle stripe over the top of the crown which allowed you to align the ball and face up to your target. The ultralight construction is designed to give you more speed in the downswing but what it also does is give you the feeling of not needing to hit the ball so hard because it is just so light. This gives you rhythm and with rhythm, you increase swing speed sub-consciously. There is an alternative to the F MAX which corrects slices and that's the F MAX offset. The hosel is set back behind the club face so you are encouraged to hit more of a draw shape than a fade. With so many drivers out there to choose from that are designed for the average golfer with an average swing speed, it can get confusing. PING, Taylormade, Srixon, Wilson and Cobra are definitely in the top manufacturers fo the average weekend golfer. This is the website I’ve been looking for the past 12 years or so. Fred Shoemaker, in his book “Extraordinary Golf,” urges us to “find your own game.” I’ve followed your suggestions, lowered my handicap, and found my ‘own game.’ It’s not a game the other guys in my mens’ club play, and I sometimes get a lot of feedback when I’m hitting a six iron from 240 and laying up from 180, but I’m scoring in the low-to-mid 80’s now on a regular basis. Thanks. Found information very interesting and useful.